The wait is finally over for the Samsung Galaxy S6 and Galaxy S6 edge users, both the devices are now getting the taste of Android 6.0 Marshmallow. Samsung announced the global roll out of Android 6.0 Marshmallow update to its last year flagships. However, the starting base of the roll out is Samsung’s home country, South Korea. There is no confirmed schedule on its global roll out, but we are expecting it to happen soon. Samsung has confirmed that it will soon be releasing the update for its other Marshmallow compatible devices. For the upgradable models, Samsung is will be making separate announcements with details about the operating system updates along with the roll out schedule for each market. The update is expected to hit the Galaxy S6 and the Galaxy S6 edge devices today, but it is highly dependent upon the market and carrier requisites. 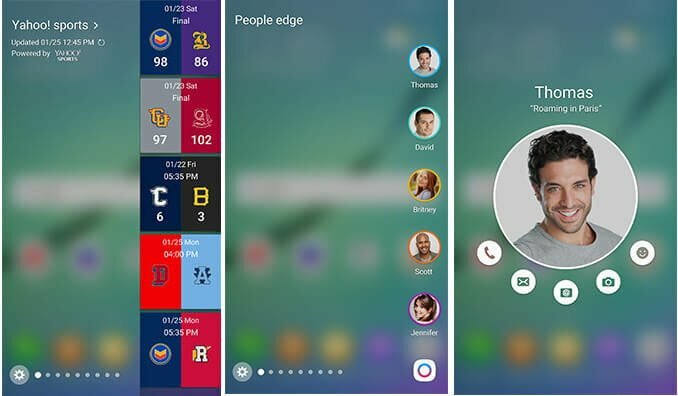 As seen in the image below, Samsung has collaborated with Yahoo to display latest stock prices, sports news and headlines on the edge screen. 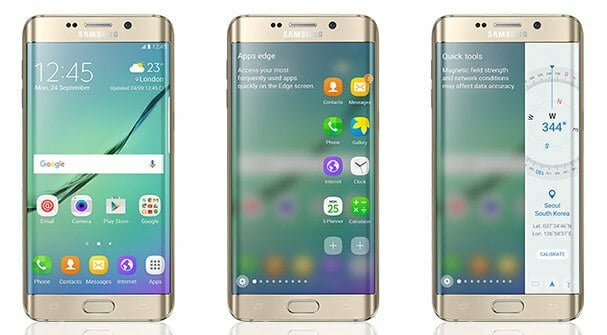 The update brings along enhanced edge screen with new edge screen features for the Galaxy S6 edge devices. There will be other Marshmallow features as well such as App Permissions, Web Experience, App Links, and Power & Charging. To sum it, the update improves the device performance and makes the OS more stable. After the update, users will find a new option to widen the edge screen to 550 pixels to make room for more content. People edge allows users to manage their chosen contacts in a single easy-to-access area. Earlier, the feature illustrated small photo icons of the user’s prime five contacts, which linked to contact profiles; now, however, contact names are exposed below the photographs for a more spontaneous experience. Besides, an alternative to the settings menu has been added for easier navigation. Similarly, Apps edge—a panel of user’s commonly used apps—has also got an overhaul. With all the enhanced space of the upgraded edge panel, users will now be able to add ten apps instead of five. In addition to single apps, users can add entire folders. Moreover, users can now access all the panels much more easily by personalising the Edge handle – the fixed tab that opens the edge panel.